Mumbai-based plastic packaging solutions provider AVI Global Plast is aggressively focusing on its thermoforming division that offers rigid packaging solutions such as punnets and trays for items like fruits, vegetables and meats. 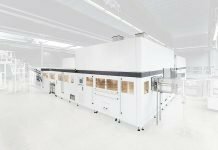 Although this segment is still small as compared to its major business of manufacturing and suppling PVC and PET films, it is clocking fast growth. These punnets and trays are manufactured using in-house produced r-PET films. They are designed to ensure safety of the contents and also the unique feature of its air venting system allows adequate airflow, thereby improving the shelf life of the produce. “At present the thermoforming segment is very small compared with our main business of manufacturing and supplying PVC and PET films. Nevertheless, this segment is witnessing rapid growth of over 30% every year. We expect this trend to continue in the near future as well and that is why we are focusing so hard on this segment,” says Sukhdeep Singh Sethi, director, AVI Global Plast. The company’s manufacturing plant is located in Daman and all manufacturing happens under one roof. In terms of PVC films making, the capacity of the plant is about 1000 tons per month while the PET films manufacturing capacity is about 250-300 tons per month. The plant also has a state-of-the-art design section where a lot of prototyping happens. AVI Global Plast also employs 3D printing for prototyping in its thermoforming segment for quicker delivery of samples to its customers. With expansion in organized physical retail as well eCommerce, consumers have begun to prefer packaged fresh produce such as fruits and vegetables. Fruits and vegetables now packed in punnet and trays is a common sight at all physical retail outlets. For eCommerce companies such as Big Basket, Amazon and Grofers, among others, it becomes necessary to pack fruits and vegetables in punnets and trays to ensure safety and hygiene. “In the last five years we have seen more and more fruits and vegetables being packed in rigid packaging. Not only do we see packaged fruits and vegetables at retail stores but even at roadside stalls. This is happening because customers now want safety, hygiene and less wastage. This demand will only increase when it comes to soft items such as fruits and vegetables,” says Akhilesh Bhargava, managing director, AVI Global Plast. With this growth potential in mind, the company is developing high barrier trays for fruits and vegetables as well as expanding the range of trays and punnets to cater to newer types of fruits and vegetables. For AVI Global Plast, India is the main focus area when it comes to offering thermoforming solutions such as punnets and trays. The company is also open to the idea of increasing its share in the export market. In fact, according to Sethi, the company is developing design of trays and punnets for fresh produce which are popular in markets such as Europe and North America. 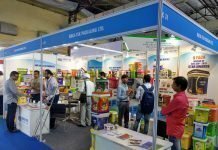 AVI Global Plast has been the only company from India to regularly participate in Food Logistica, the world’s biggest annual event for fruits and vegetables which takes place in Germany. “Participating in Food Logistica in three out of the last four editions has borne results as we have seen significant uptick in exports. We expect exports to be about 25-30% of our business in the thermoforming segment by financial year 2019-2020,” says Sethi. The plastic industry has been in the new recently due decision of Maharashtra government to ban plastic bags, water bottles and other disposable plastic items. Although some concessions have been made on items such as milk packets and water bottles, the ban by and large remains in place, although how successful is the ban on the ground is still a question to be answered. Bhargava says this sort of ban is not a feasible way to tackle plastic waste. Instead, the government needs to create awareness about proper disposal and recycling of waste. He says that AVI Global Plast is already working on developing solutions which are easily collectable and recyclable. “Banning is no solution. Education and awareness about proper disposal and recycling of plastic should be the priority. Moreover, you cannot pack everything in glass or paper. It is just not feasible in a country like India,” Bhargava states.